The speaker orders Google Assistant to book him a hair-cutting appointment. 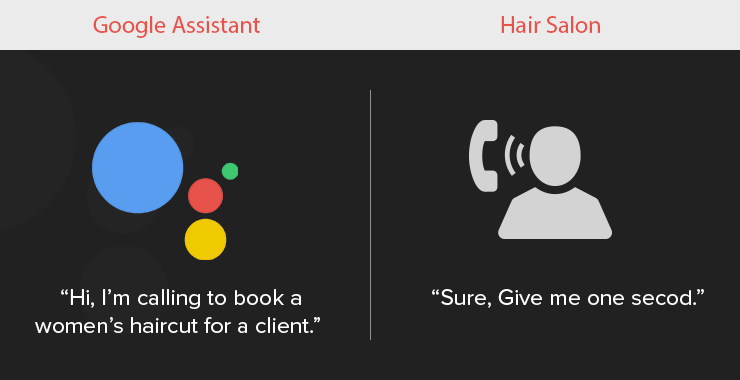 Google Assistant places a call to a nearby salon. The reception picks the call. Google Assistant talked its way out with the receptionist and in a very human manner asked it to book an appointment, which she obediently did. All this happened during Google’s annual keynote event I/O 2018 in the front of thousands of people and the speaker was none another than Google’s CEO Sundar Pichai. This was the first time in the history of humankind we witnessed an active conversation with a human and machine. To Google’s perfection, it didn’t feel like one. Google Assistant passed Turing Test with flying colors because the receptionist had no idea she’s was talking to a robot. AI, or Artificial Intelligence, gives abilities to machines we thought only living beings are capable of. With intelligence, machines can self-train themselves to learn new thing very much like humans do by seeing, listening, talking, and observing others. Today’s portable devices such as smartphones and tablets sport more sensors than any other computing device. They not only can see and hear. They can catch variation in temperatures, tell orientation with the ground, and even calculate real-time speed and humidity of the device. But sensors alone aren’t enough for AI. AI capabilities need insane amount of processing power. One such capability is Natural language understanding (NLU). Another one is intelligent routing in content delivery network. There is a reason these battery-operated devices are always connected to the internet and draw high on cloud computing. A mobile app is nothing but an assemblage of services borrowed from various service providers by means of APIs packed inside a native software package. Third party APIs give capabilities to applications to fetch weather information, status of a stock, make payment at an ecommerce websites, etc. on a user’s requests. In a similar way, AI capabilities can be added with third party APIs to an app, particularly Natural language understanding (NLU). There are many such APIs available to enable this functionality in your app. For mobile devices running on Android and iOS, Actions for the Google Assistant and SiriKit are the most popular. 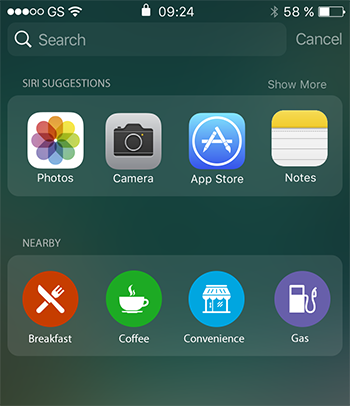 With close integration of Siri and Google Assistant with iOS and Android, they are the perfect candidates to bring AI capabilities in our everyday apps. Intent: A goal or task that users want to do such as ordering coffee or finding a piece of music. Action: An interaction you build for the Assistant or Siri that supports a specific intent and has a corresponding fulfillment that processes the intent. If you want to order a cup of coffee from your phone, you have to open the coffee-ordering app, select the coffee you want, add toppings, and make payment. Too long a process? This is the way we do things now with our smartphones. With AI integration such as SiriKit, every of your mobile interactions will revolve around three things: intent, action, fulfillment. The user just has to clear his intent.The phone will take care of the rest. It will interact with the necessary apps, make payment, and even share your location. Gone are the days, when you have to install tens of hundreds of app on your phone. So when you have to order a burger, fries, and book a cab, just tell your phone and it’ll take care of the rest. You’ll soon receive your food and ride. A user can express his intent to a smartphone in two ways: text and speech. However, there is more to AI than just giving users’ intent a direction. What about personalized experience? The purpose of apps is to provide a personalized experience to each user. Let’s take an example; you use maps in the morning to check traffic status and Facebook before going to bed. 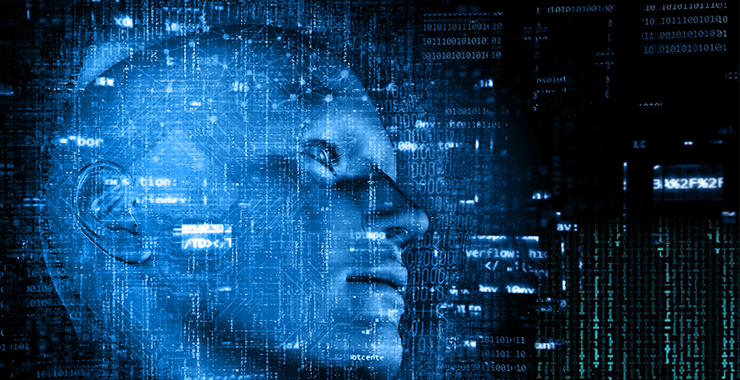 As an AI program can train itself with the data available, it will get better with time. It will get better at predicting your behavior. The OS will suggest different apps at different point of time. In the morning, it will suggest maps, and during bedtime, Facebook. James uses his favorite food delivery app to order lunch every day. Every day 30 minutes before the lunchtime, he picks his phone, opens the food delivery app and chooses a restaurant and an item on it menu, pays for it and wait for the food to get delivered. This takes every day 10 minutes of his time. Another app comes in the market. It’s very similar to the one James has on in his phone; expect this one is integrated with an AI engine. Think of it a future version of Siri. James tired of doing the same thing every time he has to order his lunch,gave this new app a try. It looked the same for the first ten days, except a few cosmetic changes. However, the app learned James’s too many preferences in those 10 days: James have chicken on Saturdays and salad on Mondays. He tries burger and pizza on Wednesday and Tuesdays. On Friday, he often orders fish and chips. He orders fish and chips from Johnny’s Diner, pizza from PizzaHut and Burger from White Castle. It was Wednesday and an hour before his lunch he receives a system notification generated by the AI system: “Order Pizza from Pizza Hut?” A similar notification pops up, “50% discount on American Style Pizza at Pizza Hut. “James clicks the other notification and soon an American pizza was on his way. This is the kind of personal experience we want to receive from the apps we use. AI will reshape the way we interact with apps. Time will come when platforms like Google Assistant and Siri will replace the OS to become the center of a user’s phone experience. The AI engine inside them will deliver the whole flow from action to fulfillment upon a user’s ‘intent’. The AI engine will interact with the apps, system, server, payment gateways, etc. In a near future, when you are lying on your bed, the phone in your pocket will check if you’re well or not by monitoring your vital health statistics. If you’re ill, it will take a doctor’s appointment, share your medical info with the doctor, call a cab on the day of appointment, note down your prescription, order medicines … Welcome to the future.